Not sure if there is a thread like this going but I am always picking up original art and love seeing other peoples collections and latest pick ups. The link isn't working,it takes you into the part of comicartfans site where you edit your gallery !! I am so jealous of all your art collections that it literally makes me sick! 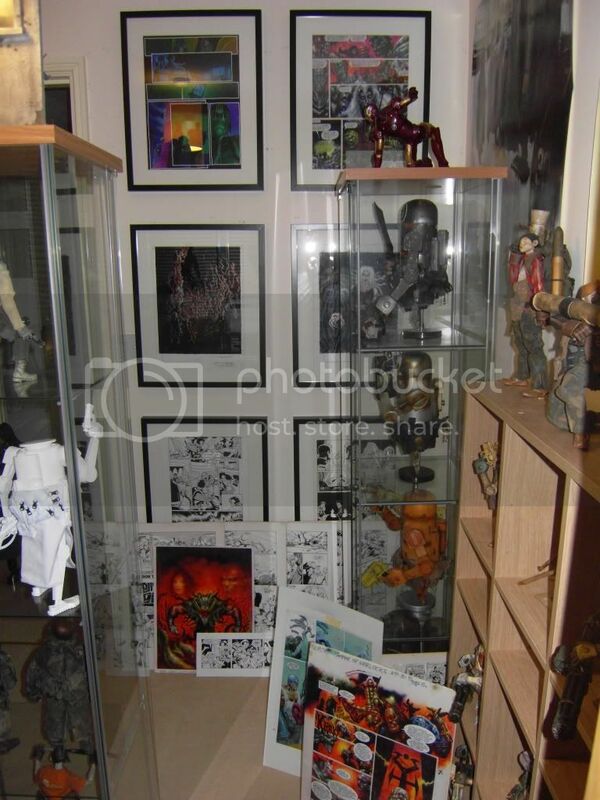 And to think i passed on buying loads of SB Davis' artwork at Bristol comic-con many years back when most of it was going for about £20-30 as i was too embarrassed to go up to him. AAAAHHHHH! Want them! They look good on your wall. My latest page is one I'm very, very happy with. I met Colin Wilson at the Melbourne Sopanova last month. He did an original Dredd illustration for me. I scanned it in, cleaned it up a bit and applied my own colours using Photoshop. 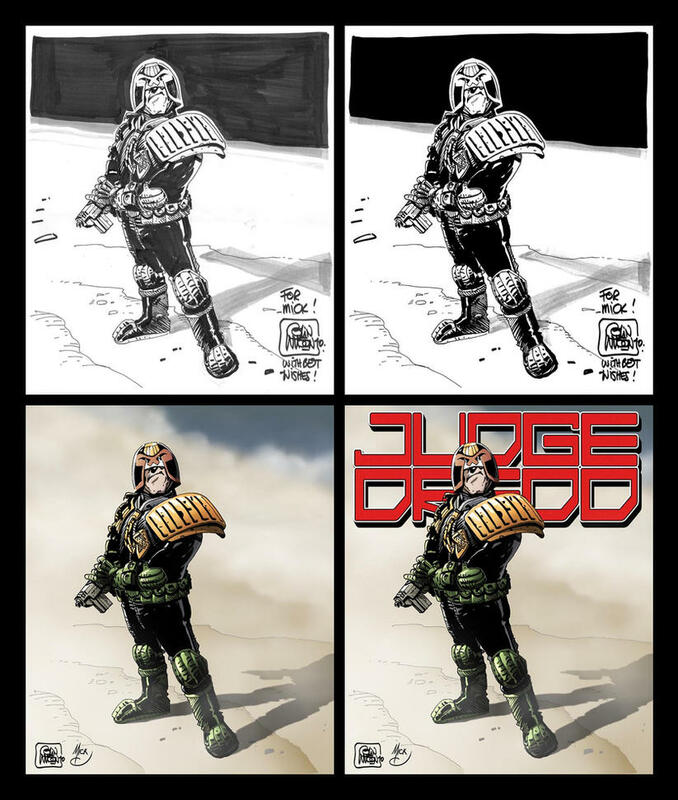 Now I love Colin Wilson's work (ask Royd) but that Dredd... Looks like one of the actors Cal lined up to play Dredd, if you know what I mean. Still, nice catch! I love seeing original artwork from early 2000AD as well. I've got a couple of nice McMahon early Ro-Busters pages, it's like being a custodian of a piece of history. I'll try and sort out some pictures.